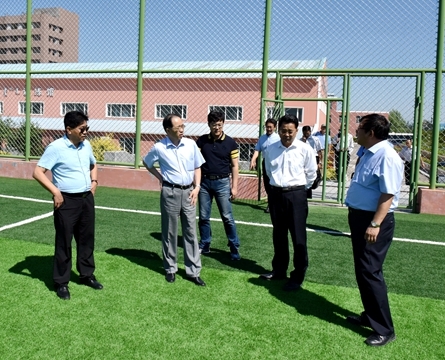 Wang Kaiwen, deputy secretary general of the Shanghai Cooperation Organization (SCO) spoke highly of Inner Mongolia Normal University's (IMNU) efforts in promoting international exchanges and football events during his visit to the campus on July 14. SCO reached preliminary cooperation intentions with IMNU on June 19 at the SCO Member States Collegiate Football Invitational Tournament. During the visit, the two sides discussed the details of the collegiate football invitational tournament among SCO member states. IMNU's President Yun Guohong, welcomed the delegation and introduced the international events it held during recent years, including "Jintong Cup" Silk Road International Collegiate Football Invitational Tournament, Traditional Archery Invitational Tournament, and Chinese-Foreign University Presidents Forum. Yun noted that these events were aimed at responding to the Belt and Road Initiative (BRI), in order to promote international exchange and cooperation in culture and sports. Zhang Haifeng, vice president of IMNU, offered a planning scheme of the SCO's football invitational tournament and shared his experience on holding the international sports events. “SCO aims to strengthen the international exchanges with international football events,” said SCO's Deputy Secretary General Wang Kaiwen, speaking at the discussion. He confirmed that SCO will extend full support to IMNU in organizing the SCO Member States Collegiate Football Invitational Tournament. 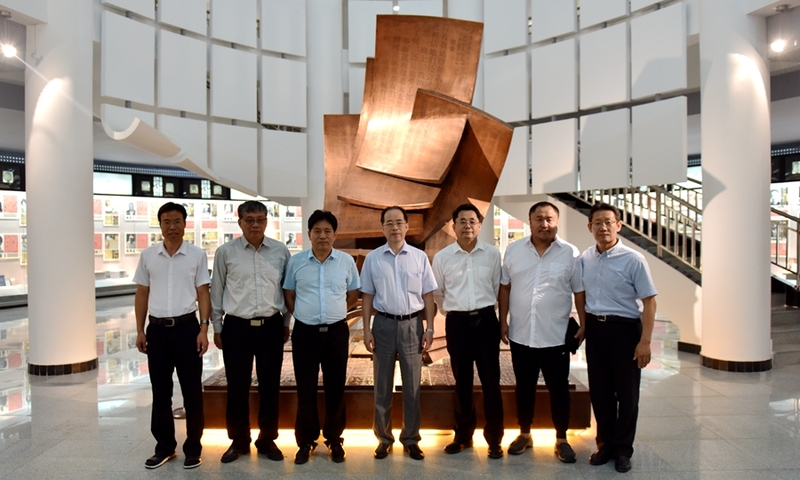 Wang Wei, deputy director of the China National Institute for SCO International Exchange and Judicial Cooperation and Chu Jinghui, director of the Inner Mongolia International Culture Exchange Center also visited IMNU. For years, IMNU has given high priority to international exchanges of culture, education and sports. It held the International Naadam Festival in 2016 and 2017, attracting SCO's member states such as Kazakhstan, Kyrgyzstan, Russia and Uzbekistan to participate in the event, and won high international recognition. In cooperation with SCO, the university will further exchanges among the educational institutes of the SCO's member states and help intensify the promotion of football. According to IMNU, it will continue to hold serial events including University Presidents Forum, Traditional Archery Invitational Tournament, art exhibitions and cultural performance during the SCO Member States Collegiate Football Invitational Tournament.